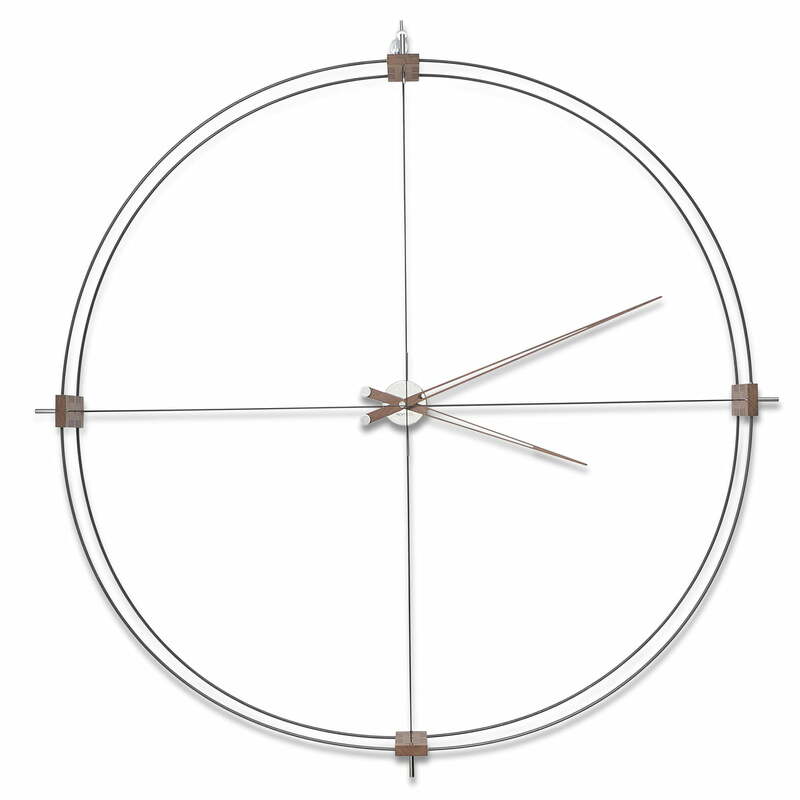 The wall clock Delmori by nomon is everything but a classic wall clock. She can be hung on the wall as well as float freely in the room. 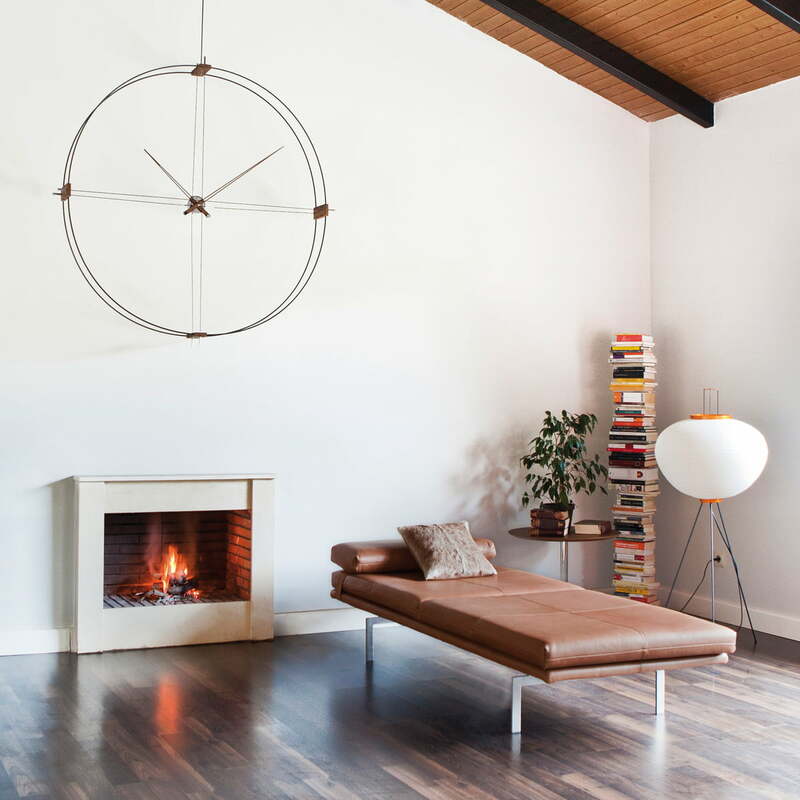 The clock is made of two steel spheres that were stabilized at each one ot the imaginary quarter-hour dots with wooden walnut blocks, according to the minimalist ideology of nomon. Two horizontal and two vertical rods also serve to reinforce the design. In the middle of these rods there hang the minute and hour hands. The clock can be attached at a wall as well as be a freely hanging pendule construction in the middle of a room.